There are plenty of ways for you to plan your trip. Sometimes it could be a slow pace kind of trip, or it could be a rushing trip where you wish to go all destinations in one single week. In my own opinion, I would prefer to have something in between. Meaning, a slow moving trip that could cover all the possible destinations. So there you go, a couple of itinerary suggested by myself. Perhaps you could try it someday. There are two different destinations - Beijing and Guangzhou. 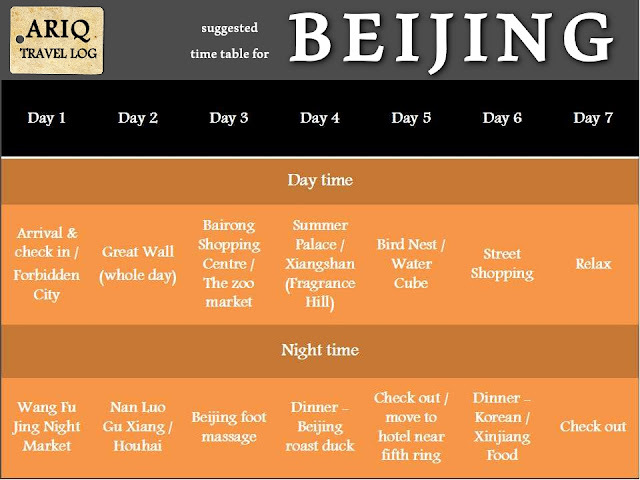 For those who wish to visit Beijing, I have suggested mostly the famous locations that we could in TV or magazines. But if you have something else in mind, don't halt that thought. 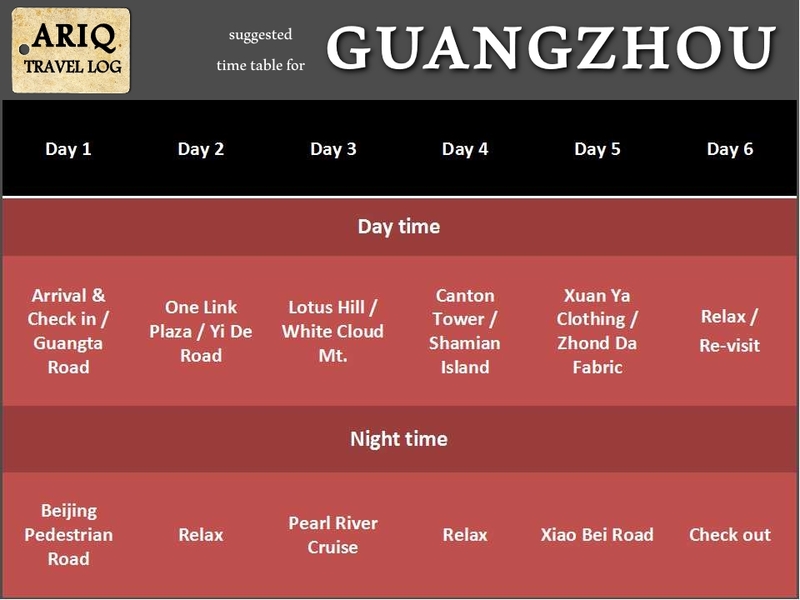 As for Guangzhou, I designed the trip mostly for those who wish to familiarize themselves with the trading there. Exactly like what I did last time. But in between, you could still visit some good places in Guangzhou.